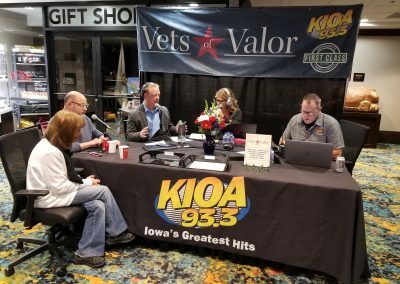 Check out the interview Department Adjutant John Derner had with CW Iowa Live’s Jackie Schmillen and Lou Sipolt Monday, November 5, 2018. 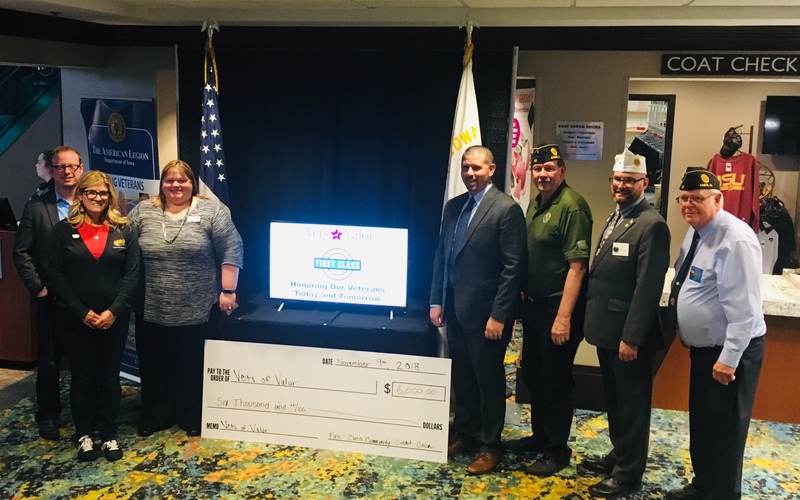 This past Veteran’s Day weekend, we raised funds to give back those members of the military that served our country by donating to KIOA’s Vets of Valor presented by First Class Community Credit Union at Prairie Meadows. 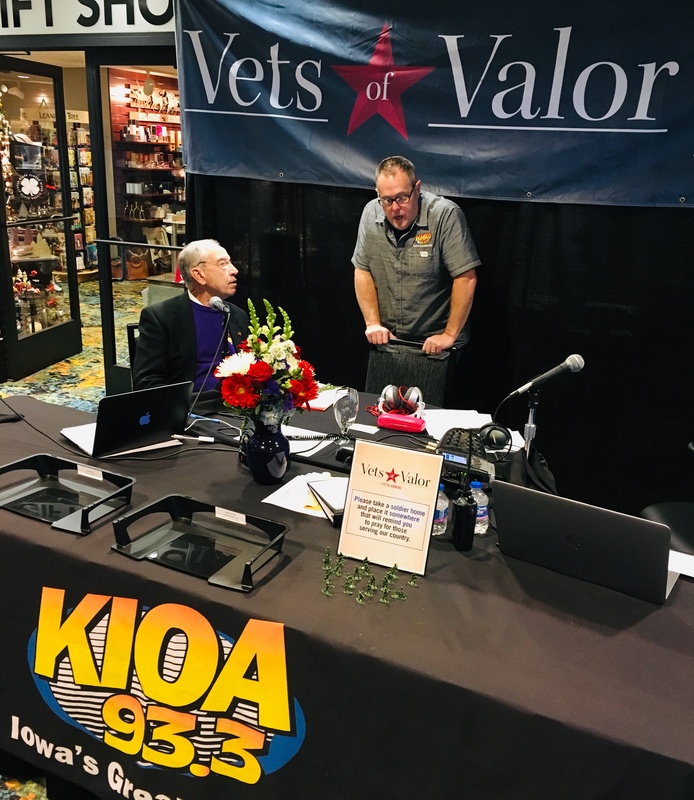 KIOA’s Vets of Valor Radiothon took place Friday, November 9th from 6 am – 6 pm at Prairie Meadows. 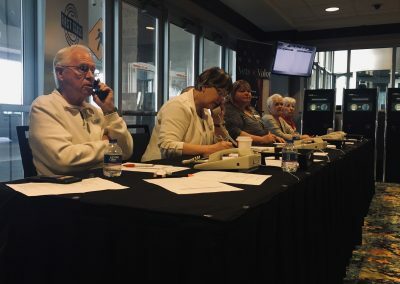 Calls were taken all day at the First Class Community Credit Union Phone Bank. 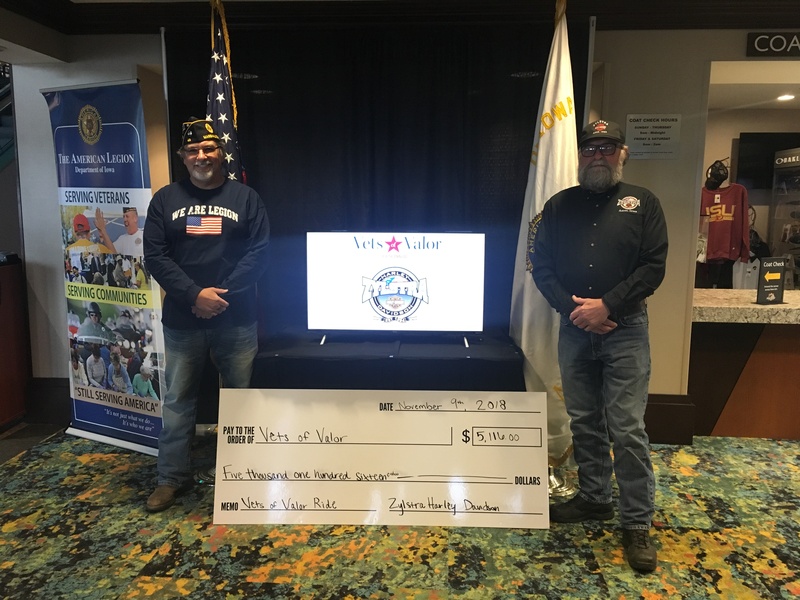 Vets of Valor raises money and awareness for the American Legion of Iowa. 95% of donations raised will go directly to help support Central Iowa Veterans in times of need. 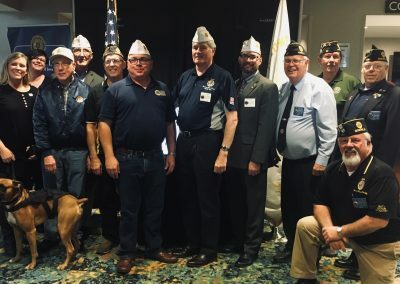 The other 5% is used to support The American Legion Department Service Office, which assists veterans with processing claims for Veterans Affairs compensation for injuries and illnesses resulting from their military service. You can continue to donate through this page. 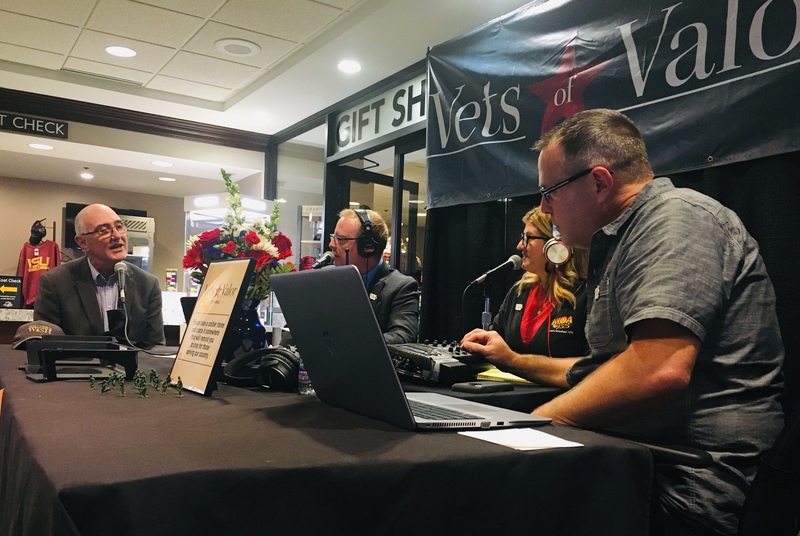 On-air with one of our hourly sponsors, Dr. Cherny of Heartland Plastic Surgeons. 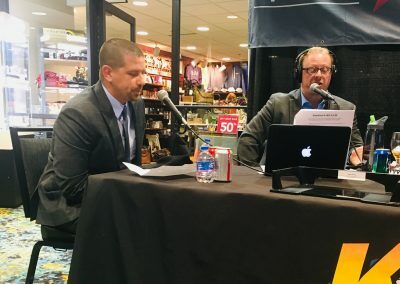 Interview with Gary Palmer of Prairie Meadows. 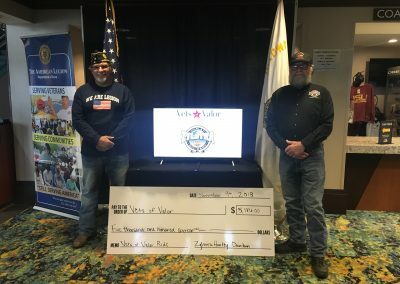 Check from Zylstra Harley Davidson – Ames, IA. 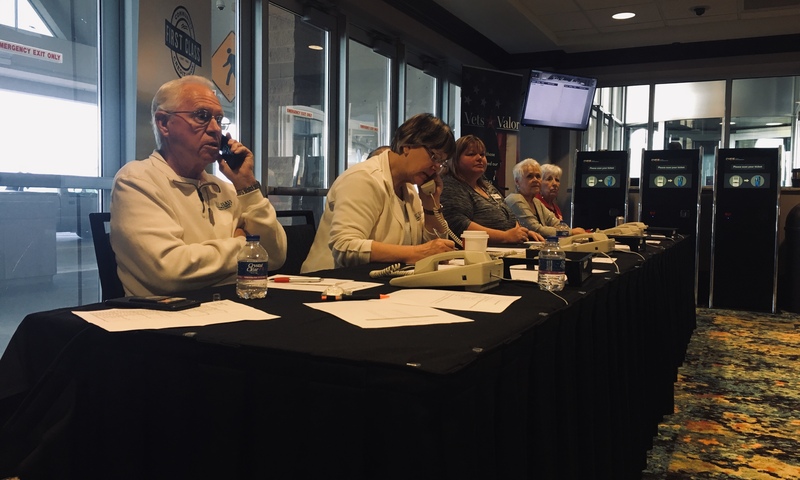 Some of our hard working phone volunteers taking donations. 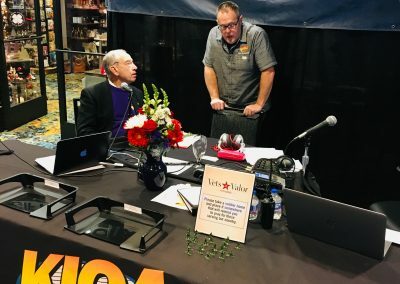 Senator Chuck Grassley getting ready to go on-air. Representative Elect Cindy Axne stopped by for a visit. Zac Pollock from corporate sponsor First Class Community Credit Union matching donations. A donation from First Class Community Credit Union. Our Dept. 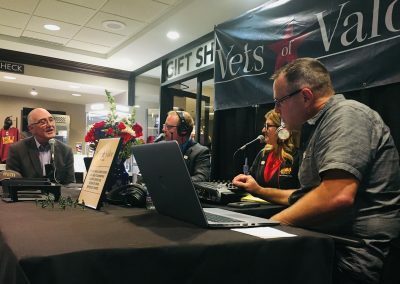 Service Office Gary Carter on-air. On-air in the last 2 hours. 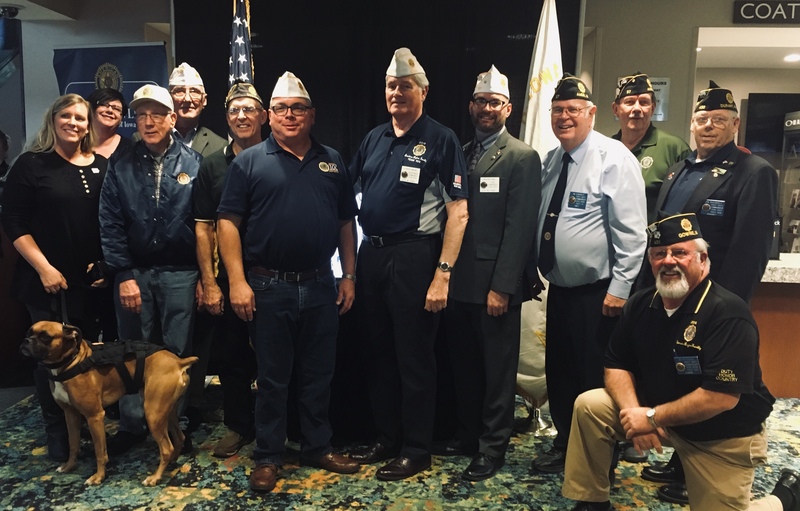 November 5 – Altoona, IA. 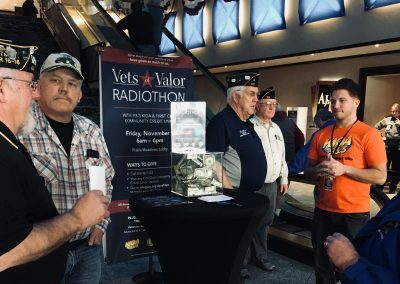 In honor of Veterans Day, Prairie Meadows will host the fifth annual Vets of Valor Radiothon on Friday, November 9. 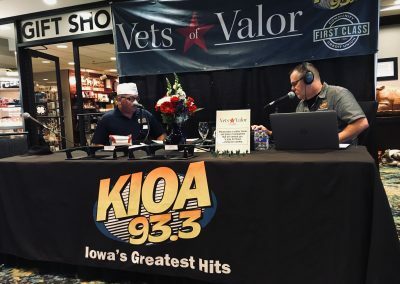 Prairie Meadows in partnership with 93.3 KIOA and First Class Community Credit Union will raise money to help Iowa veterans through the American Legion of Iowa. 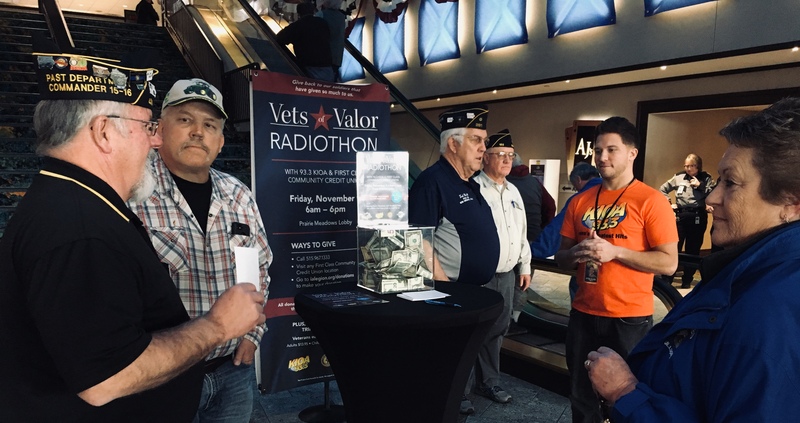 The event will run from 6 a.m. – 6 p.m. in the Prairie Meadows lobby, near the main casino entrance. 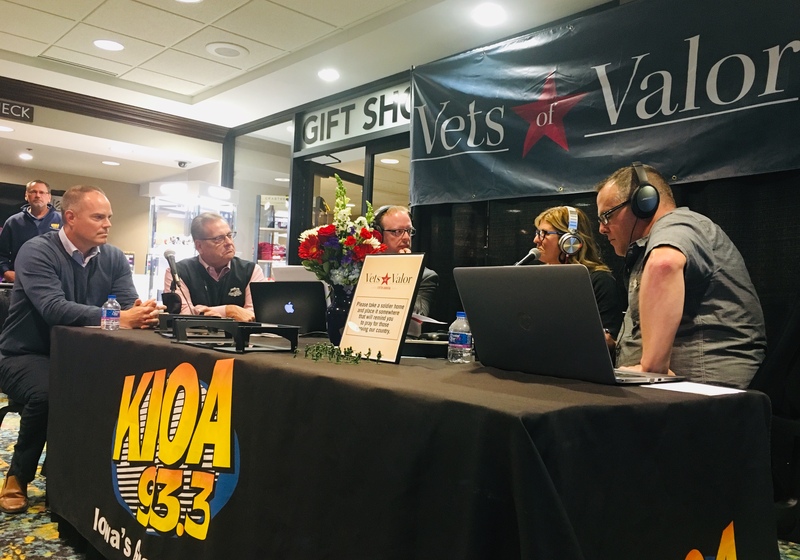 93.3 KIOA radio stars will broadcast live from Prairie Meadows throughout the 12-hour event while volunteers from First Class Community Credit Union will staff the phones. 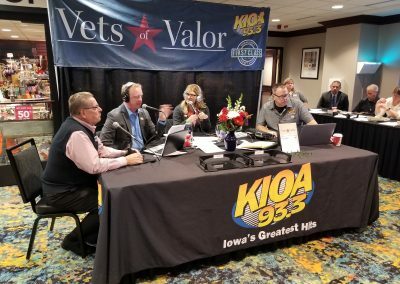 “93.3 KIOA is excited to present the 5th Annual Vets of Valor Radiothon as we stand up for Iowa veterans by raising funds, increasing awareness and sharing stories from families touched by our program,” said Tim White of Des Moines Radio Group. 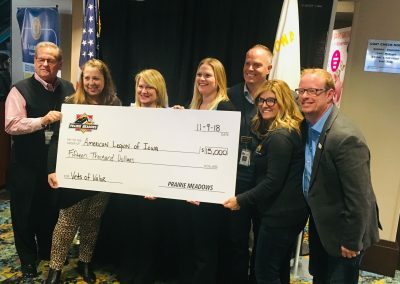 Prairie Meadows will match donations during the 9 a.m. and 4 p.m. hours. 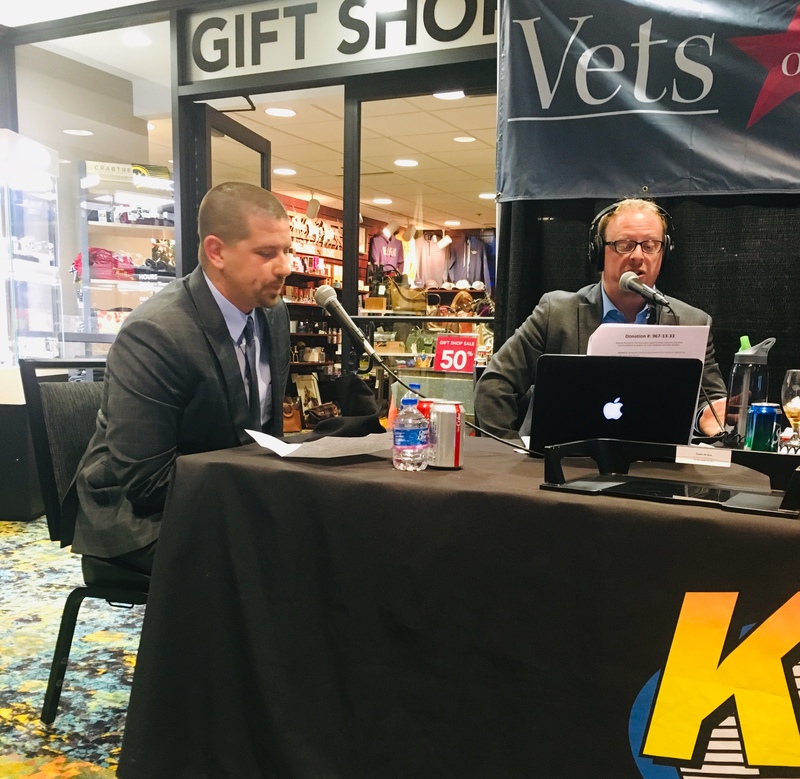 President and CEO of Prairie Meadows, Gary Palmer, will join 93.3 KIOA on the air during these times. 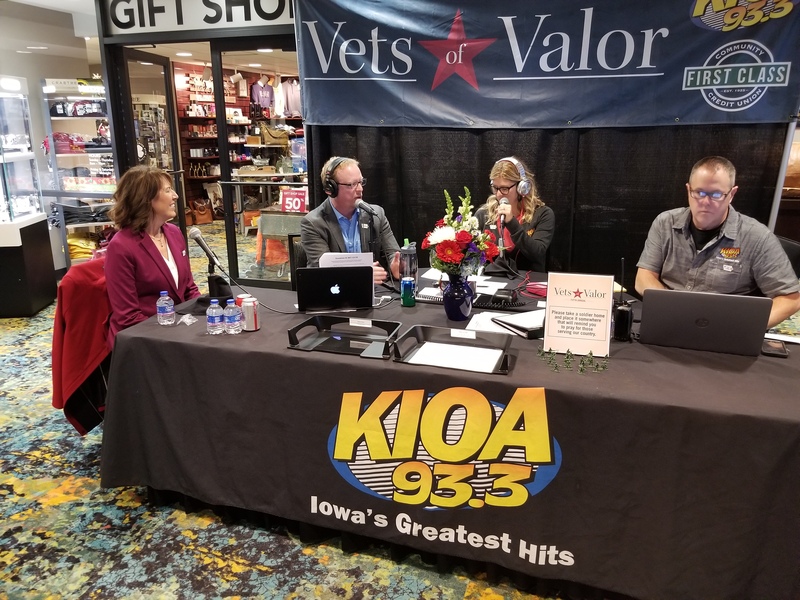 Donations can be made in person in the Prairie Meadows lobby or by calling 515.967.1333 during the radiothon. 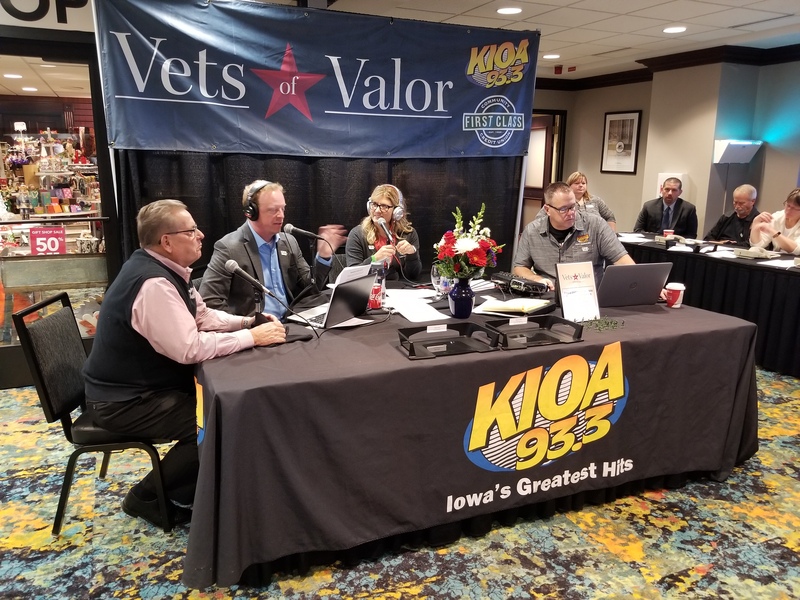 Vets of Valor donations are also accepted online at ialegion.org and at any First Class Community Credit Union location now through November 9. 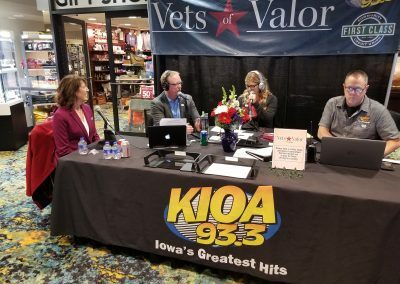 All donations stay in Iowa and will be used to provide assistance for Iowa veterans and their families. 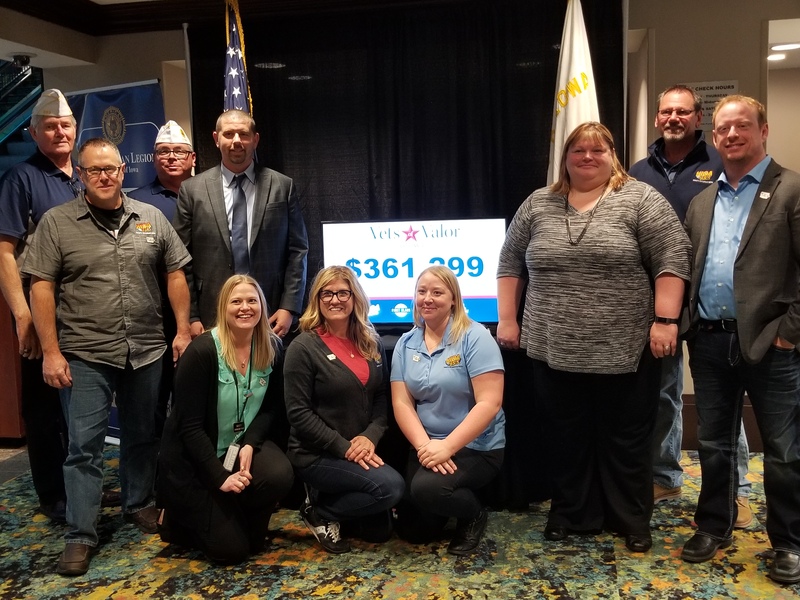 “The American Legion of Iowa is grateful for our partnership with 93.3 KIOA, First Class Community Credit Union, and Prairie Meadows. As we begin our fifth year, we are thankful for the generosity of our sponsors and 93.3 KIOA listeners. 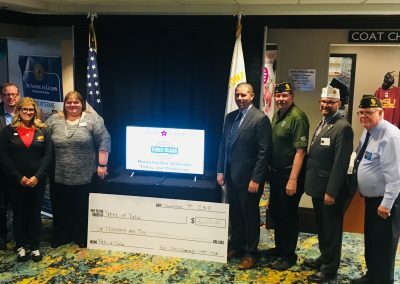 Because of that generosity, The American Legion of Iowa is able to continue the Vets of Valor program and provide assistance to Iowa veterans and their families,” said John Derner of The American Legion of Iowa. 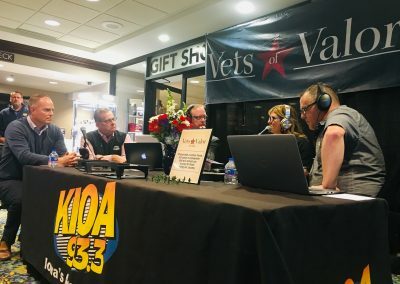 For more information about the 2018 Vets of Valor Radiothon, visit prairiemeadows.com. 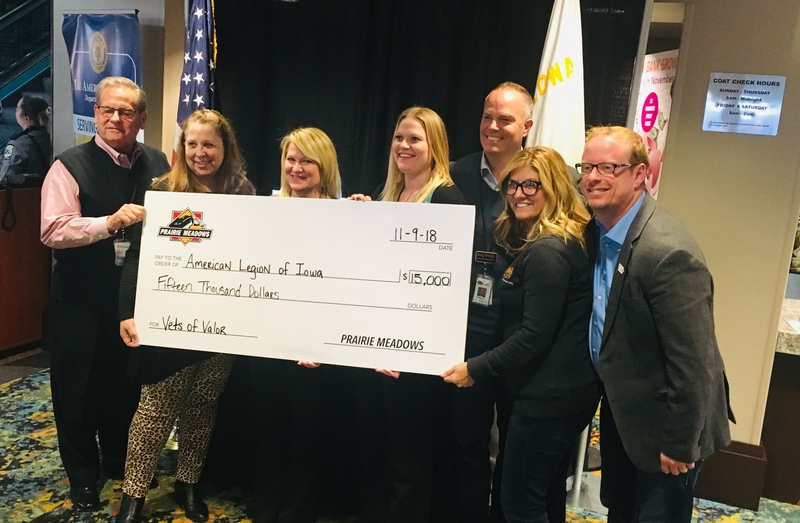 Prairie Meadows began operations as a nonprofit organization in 1989 with the goal of promoting economic development, jobs, agriculture, and tourism in the state of Iowa. Through taxes, grants, and charitable donations, Prairie Meadows has given more than $1.8 billion to the state of Iowa. Prairie Meadows offers nearly 1,800 slot machines, table games, live and simulcast racing, hotel accommodations, entertainment, and more.